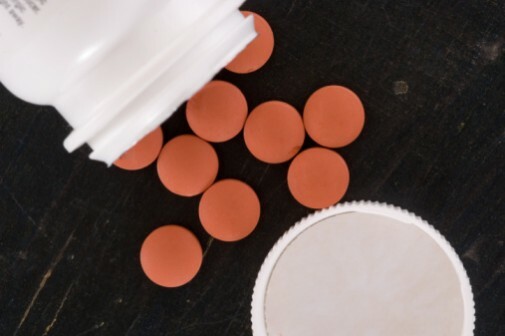 For more than 10 years, the U. S. Food and Drug Administration cautioned that taking over-the-counter nonsteroidal anti-inflammatory drugs like ibuprofen and naproxen increases the risk of having a heart attack or stroke. Now, the agency is strengthening the warnings, requiring labels on all prescription and over-the-counter NSAID products. FDA researchers said that people with cardiovascular disease, particularly those who recently had a heart attack or cardiac bypass surgery, are at greater risk for cardiovascular events due to NSAIDs. The risk can happen as early as the first weeks of taking NSAIDs, even in people who have no history of heart conditions or stroke, according to the FDA. These pain medications are widely used by people whose pain comes from inflammation such as arthritis or athletic injury. NSAIDs like Advil and Aleve are some of the most popular drugs in the U.S., with more than 70 million prescriptions and more than 30 billion over-the counter tablets sold each year. Heart attack and stroke risk may increase even with short-term use. The risk may begin within a few weeks of starting to take the medication. That risk increases with higher doses of NSAIDs taken for longer periods of time. The risk is greatest for people who already have heart disease. Even though people without heart disease may be at risk. That naproxen may be safer than other types of NSAIDs based on studies although expert panel isn’t certain yet if this is true. The announcement also points out that aspirin, also an NSAID, does not pose a danger of heart attack or stroke. Medical experts say that taking an occasional NSAID for a routine headache or strained muscle isn’t very likely to bring on a stroke or heart attack, but advise caution and education when taking the drugs. Dr. Ferrera recommends people take the lowest effective NSAID dose, and limiting the length of time on the drug. He also advises against taking more than one type of NSAID at a time, as the risk pointed out by the FDA is associated with nearly all types of NSAIDs. Is it known how long the increased risk of stroke and heart attack remains after a person has taken ibuprofen or naproxen but has since stopped taking these medications? For example with smoking the lungs will clear over years after a person stops smoking, will the risk return to normal risk levels of stroke or heart disease once the ibuprofen has left the body? ← Is your child athlete experiencing burnout?